Malee arrived at ElephantsWorld in 2008. 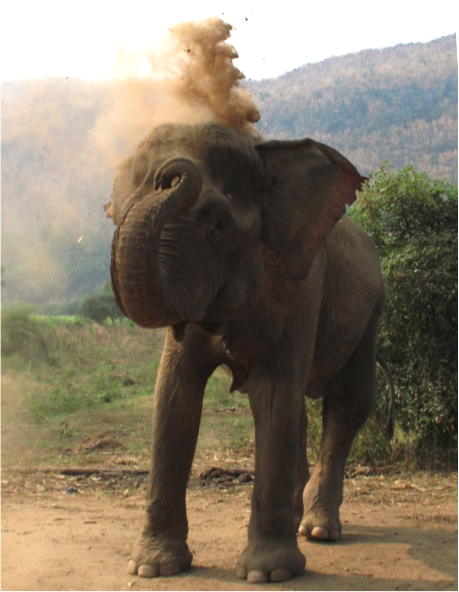 She was one of our first three elephants at ElephantsWorld, together with Kammoon and Somboon. She worked as a street elephant in Bangkok, where she was hit by a car and suffered serious injuries to her left rear leg. Her leg has never fully healed and she avoids putting weight on it. She tries to balance on her other three legs. 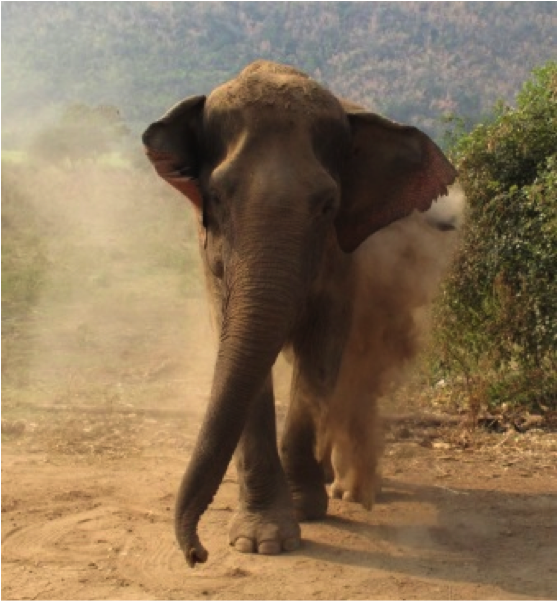 When she arrived at ElephantsWorld, she became very close friends with Somboon. Every day we can see how close they are. You can observe themsocializing with each other during feeding. 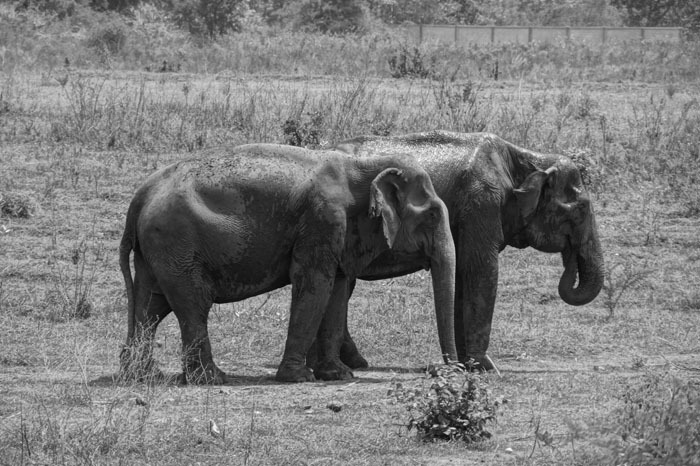 We love to listen to their conversations they have by tapping their trunk on the ground, rumbling and trumpeting.